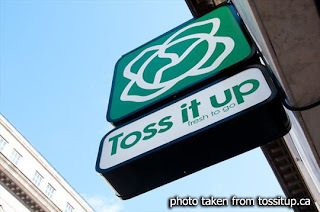 Back in March, Linda Price (owner @ PJ Quigley's) invited me to come over and test their newest endeavour, a healthy take-away in the heart of downtown Ottawa, Toss It Up. Well, its June and I finally got a chance to sneak in for lunch. 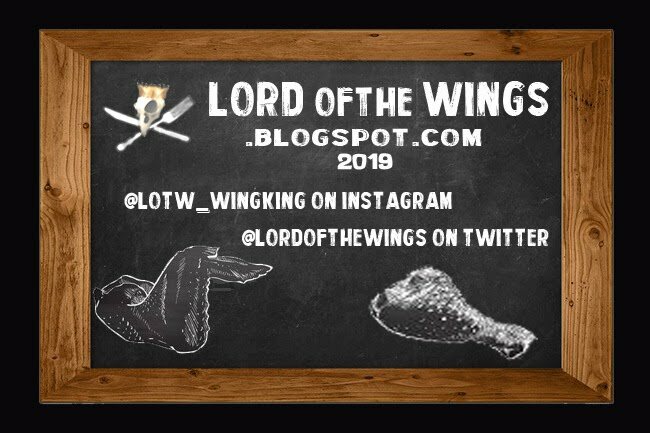 The concept of this restaurant leaves behind the wings and fries of the pub, and looks to provide wraps and salads made fresh and quick to the immediate area. Order in advance by phone or Internet, or just drop in and soon your having a homemade lunch for about the price of fast food. 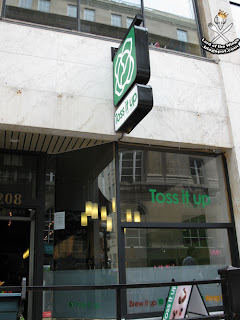 Located on Sparks street, a totally pedestrian outdoor 'mall', Toss It Up features take out, indoor seating, and a patio now that the weather is getting better. The place was busy, but the queue moved very quickly - clearly a popular spot. Choose either a Salad, a Wrap, or a combo. 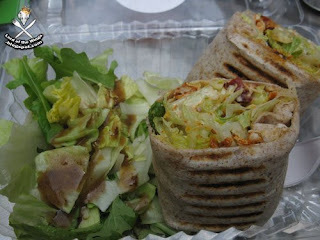 If you choose a Signature Wrap or Salad your done here (unless you want to add or make substitutions). If you are custom building, proceed to Step 2. Choose your toppings your premium toppings (meats, fruits, cheeses etc). Choose 4 extras (veggies, seeds etc). Taking some time to look over the process and the Signature items, Andy (who did work @ PJ's but is now Manager here at Toss It Up) came over and was quick to help explain. This wasn't just because he knew me, he was the friendly face greeting everyone coming in. The process isn't complicated at all, but a quick intro to beginners is helpful and coming a second time would be smooth and simple. It was a relatively nice day, so instead of sitting inside, we took to the patio. While it was a bit windy, it was so nice to eat outside. I think this was my first patio of the summer! 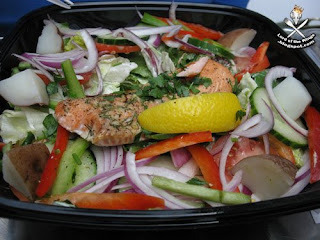 My dining companion went with the 'East Coast Herb' Signature salad: "Herb roasted Atlantic salmon, Roma tomatoes, red onions, sweet peppers, red bliss potatoes, cucumbers and baby greens". What a salad! 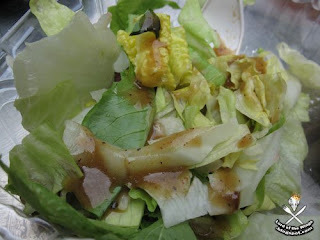 Andy suggested the Wasabi cucumber dressing and while that might sound hot (due to the wasabi) its actually very refreshing, tasty dressing. For my choice, I debated with making a custom wrap, but decided to go with a Signature Wraps. The 'Triple C' a "roasted chicken breast tossed with romaine lettuce, bacon, shredded Parmesan cheese, lemon and Caesar dressing with roasted garlic." I was going to go with the BBQCBC, but Caesar was speaking to me. 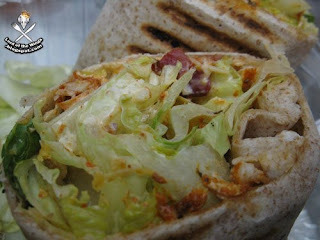 The wraps are served on a whole wheat tortilla, which is grilled on a press before serving. The romaine was crisp, the chicken was moist and tasty, and best of all, great bacon. The Caesar dressing was also creamy. 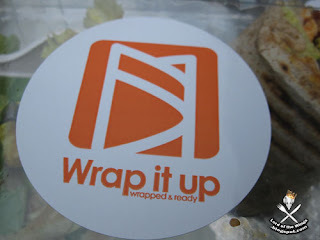 The wrap also came with a salad, which I didn't know until after I got my wrap. I'm not exactly sure what the dressing was, but my guess was the Toss signature, but what I do know was that it was refreshing. Over all, this was a great little lunch joint. They also do breakfast, but not supper. Andy was also telling me that they now serve beer, and soon they will be juicing, as well as blending smoothies. If you work down town, this is a great alternative for lunch to the deep fried and less healthy alternatives from the carts. They also deliver.